During the house training process, your pet is bound to have accidents. For easy cleanup, use OUT! It quickly removes stains and odor from the carpets and bedding. 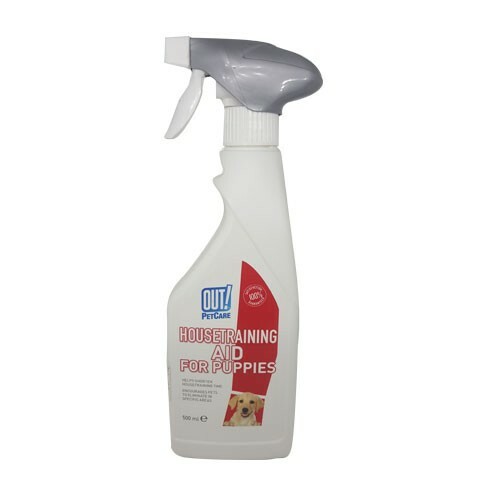 Spray a small amount of product where you would like your pet to urinate. Allow your pet to sniff and praise when he performs. Continue the training process by adding the additional application and bring your pet back to that spot often, especially after eating, drinking, playing and napping. The length of time for training will depend on the breed.